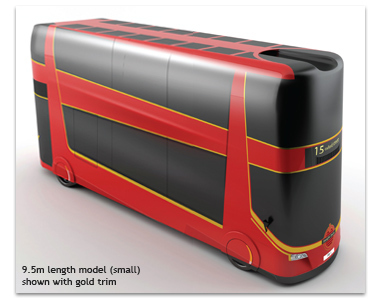 A Revolutionary New City Bus Freight*Bus that’s so much more than just a means of transporting people, it’s a radical bus & urban freight system concept. 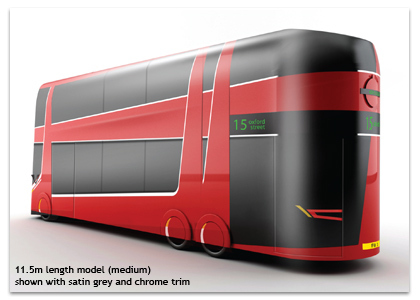 This chameleon bus will potentially change the economic and environmental costs of passenger and freight transportation in the 21st century city, due to the original features never seen before on public transport vehicles. ‘On-Route’ is a radical new urban transportation system concept which would see a Freight*BUS optimise the carrying of passengers and freight, thereby tackling the problems of both congestion and pollution. 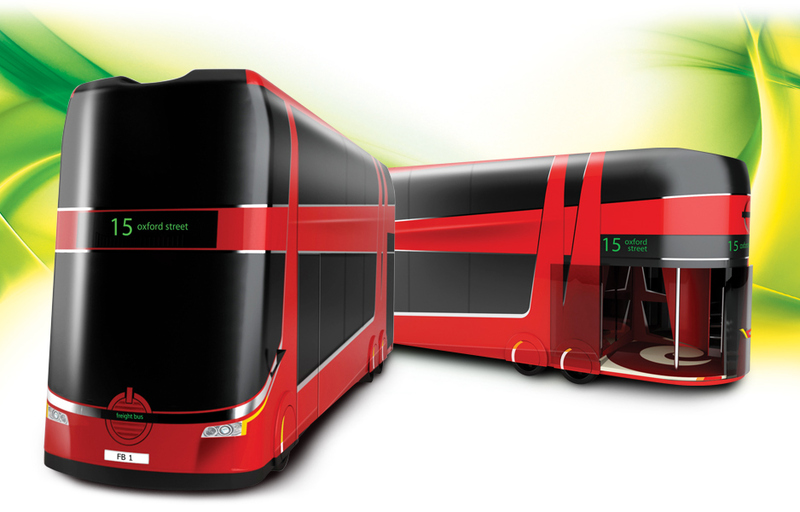 The Freight*BUS has been designed with a zero-emission propulsion system able to accommodate either a battery fuel-cell system or small bio gas generator to maintain fully charged batteries. It also features other state-of-the art technologies such as distributed wheel motors and completely new inventions, like ceiling-suspended seating and a patent-protected pallet-less lifting and handling device. The ability to turn in its own length & ‘crab steer’ is great for tight fit bus stops & bus station manoeuvres. This avant-garde concept requires a whole new way of thinking about urban transportation systems; stakeholders are invited to help take this model to the next level.